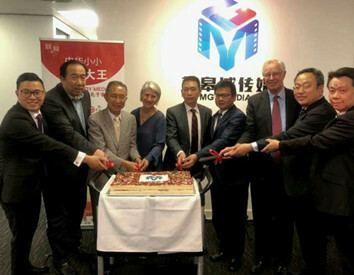 On October 26th, Acting Consul-General Yuncai Mei attended the ceremony of the "200th Anniversary of Chinese migration to Australia" and the launch of MGY Media and the Chinese Talk King contest. Deputy Mayor of Adelaide and representatives from all walks of life in South Australia also attended. 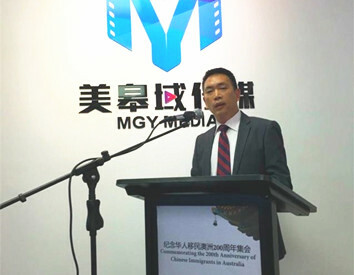 In his speech, Mr. Mei said that over the past 200 years, as a most vigorous part of Australian society, Chinese immigrants have carried forward the fine culture of China and contributed a great deal to the development of Australian economy, society and culture. No matter where they come from, Chinese in South Australia share the same ancestral root. He hopes local Chinese will support each other, observe local laws and regulations, and further push the relations between China and South Australia. Mr. Mei said that he hopes MGY Media and other Chinese media will serve as a resourceful platform for information sharing, deliver more diverse products, tell China's stories and convey China's voices in good faith so as to enhance mutual understanding between the two peoples. He also earnestly hopes that the competitors of the Chinese Talk King contest will act as envoys for cultural exchanges and cooperation between China and Australia.